CIQM's community of researchers, students, and educators work together to develop creative and fun new educational activities, programs, and media in order to facilitate the engagement of school and public audiences in the new world of quantum materials. Diamondpalooza brought together CIQM researchers, students, educators, David Macaulay & NOVA filmmakers to brainstorm ideas for sharing diamond color center research with broader audiences. 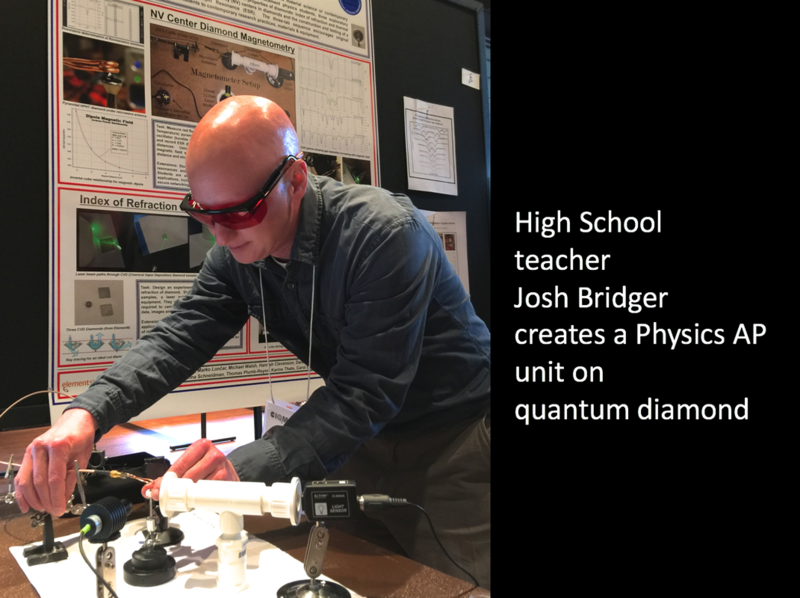 Below, Sherborn High School AP Physics teacher Josh Bridger demonstrates a module he created on diamond NV centers, after participating in Diamondpalooza. YouTube and iTunes help to magnify the impact of our programs. Flatland brought together the same mix of talents to brainstorm new ideas for sharing ideas about 2D materials and Van der Waals hetereostructures with broader audiences. Below, one outcome was a crowd-pleasing presentation CIQM researcher Pablo Jarillo-Herrero made at the Museum of Science. 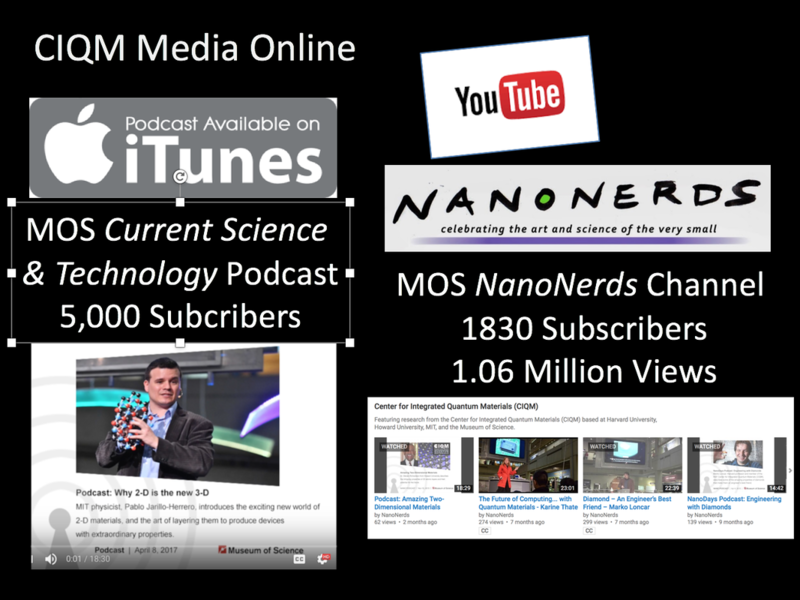 A podcast is posted on the NanoNerds YouTube channel and on iTunes. MIT CIQM students helped MOS develop a hands-on demo on 2D layered materials with varying twist angles.